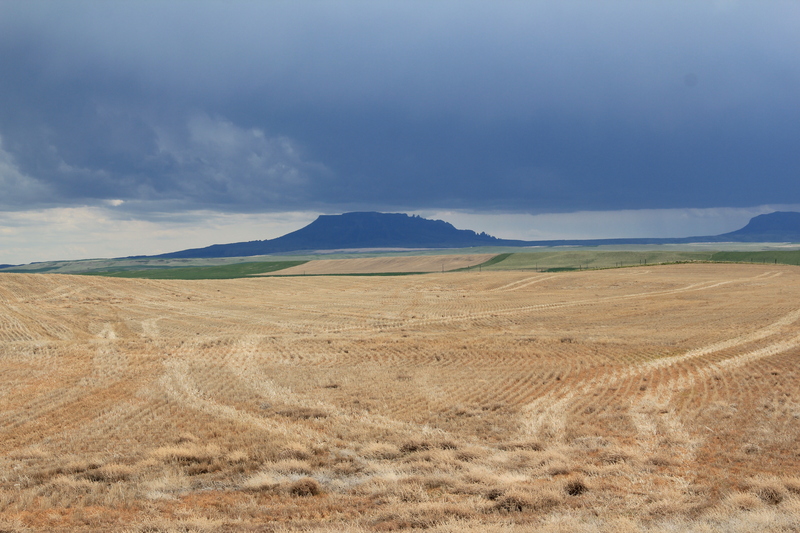 One of my favorite Central Montana landmarks and small railroad towns is Square Butte. 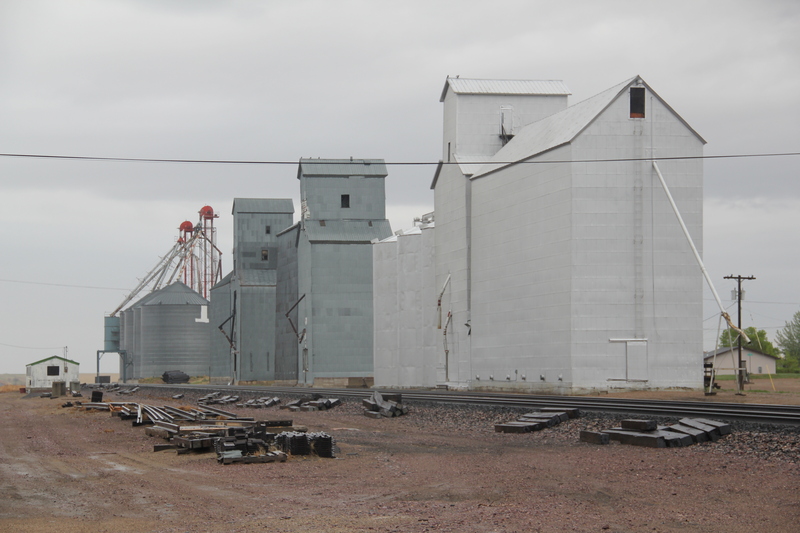 Once served by the Milwaukee Road, few travelers find the town today. 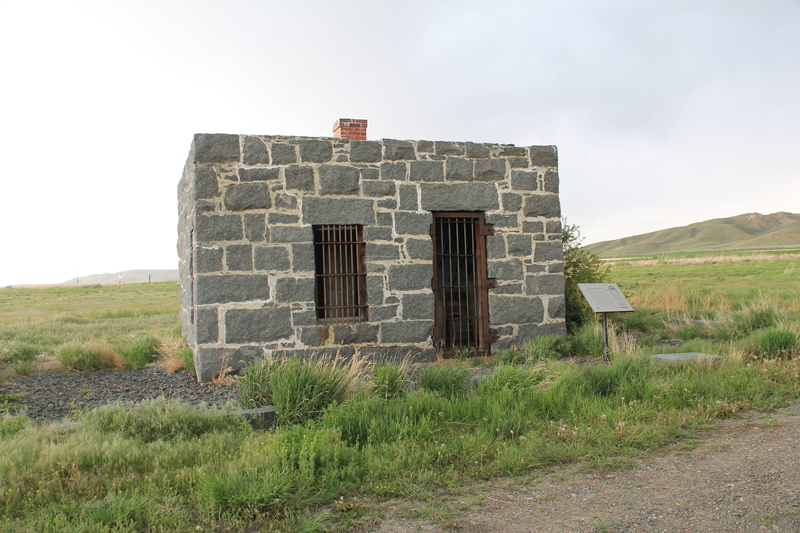 Yet several key landmarks remain–the historic late 19th century stone jail is listed in the National Register of Historic Places. 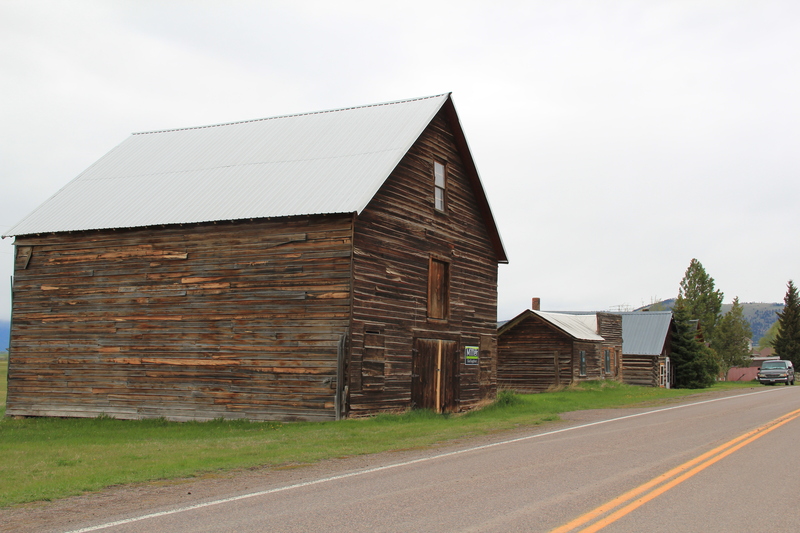 There is a historic brick school building, a bit worse for wear but still a key survivor that marks the height of the homesteading boom in the county. 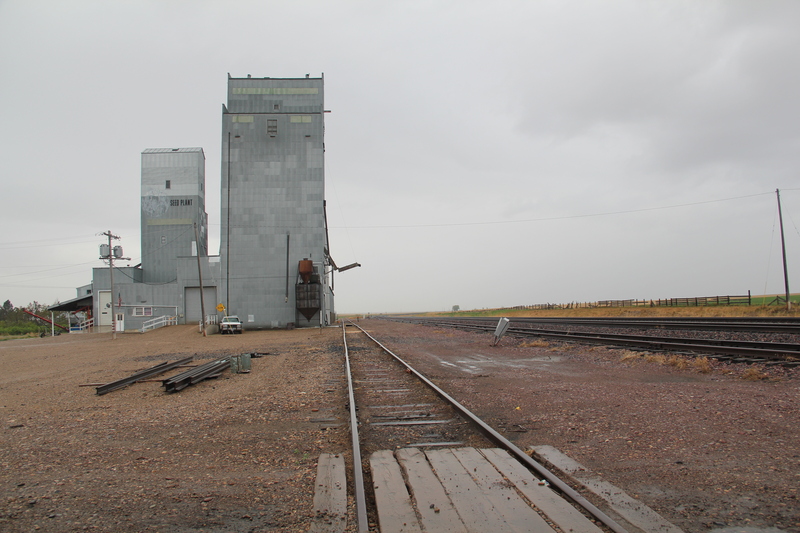 But my favorite resources are the elevators along the railroad corridor–still standing tall, although in that stormy day–I made it through a pretty strong hail storm about 10 minutes after the photo–the elevators perhaps look dramatic than normal. 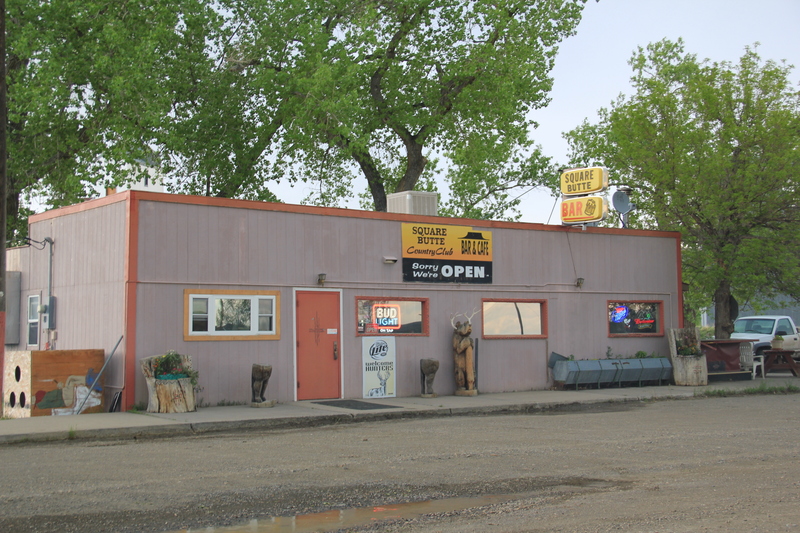 And perhaps most importantly the town still has a local tavern, the appropriately named Square Butte Country Club Bar. 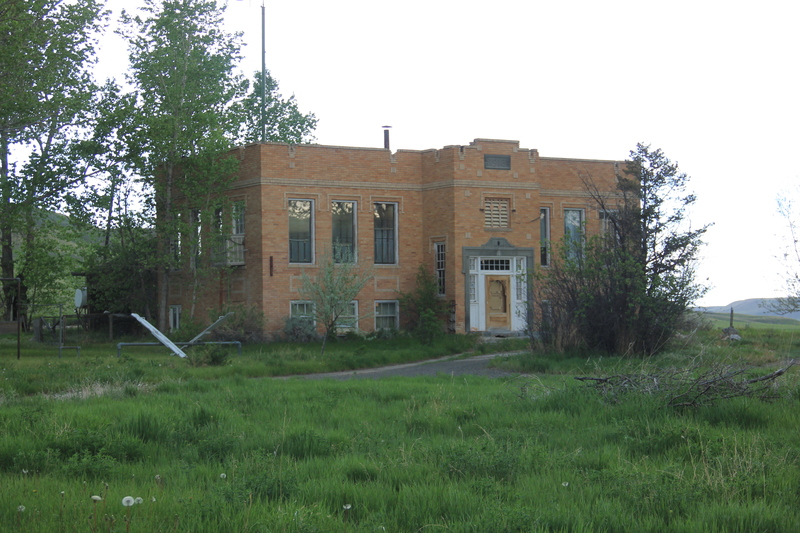 Still an important community center today, as it was in 1984. 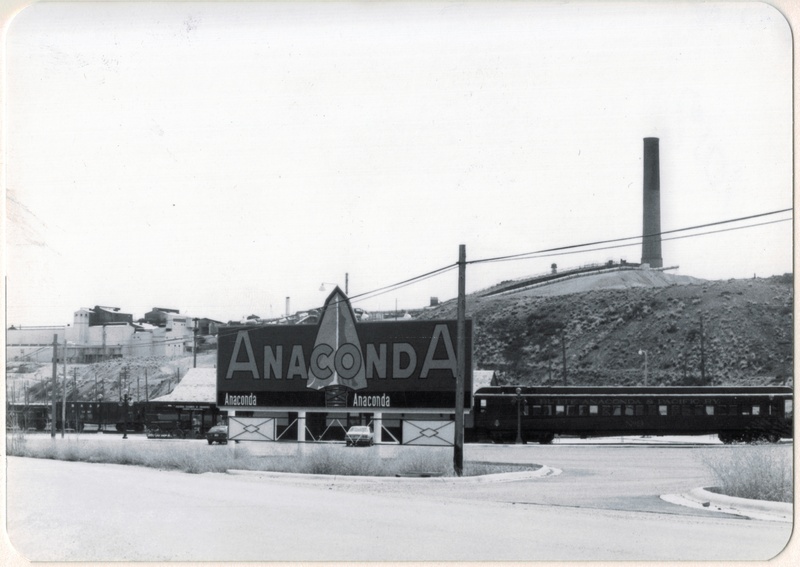 As a 20th century industrial landscape, Anaconda has few peers in Montana, or even the west. 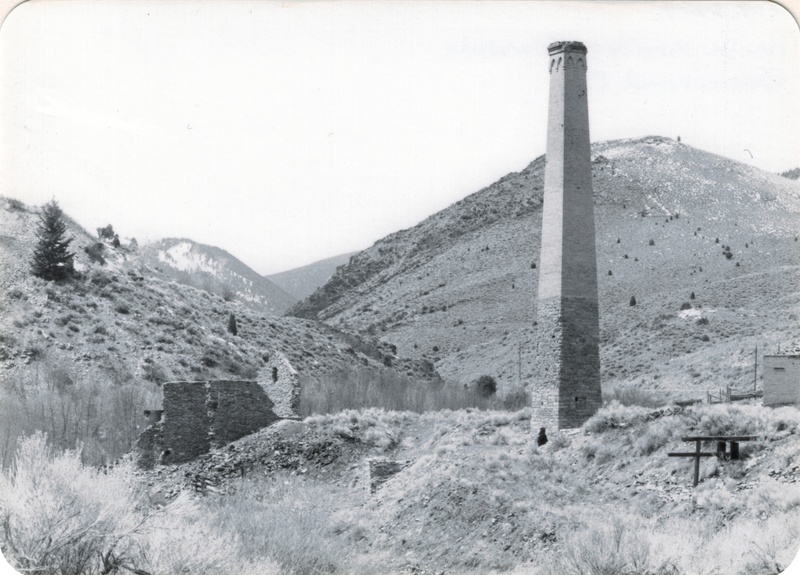 I want to share that landscape in a series of posts that highlight both the well-known and the not so well known properties of the town. 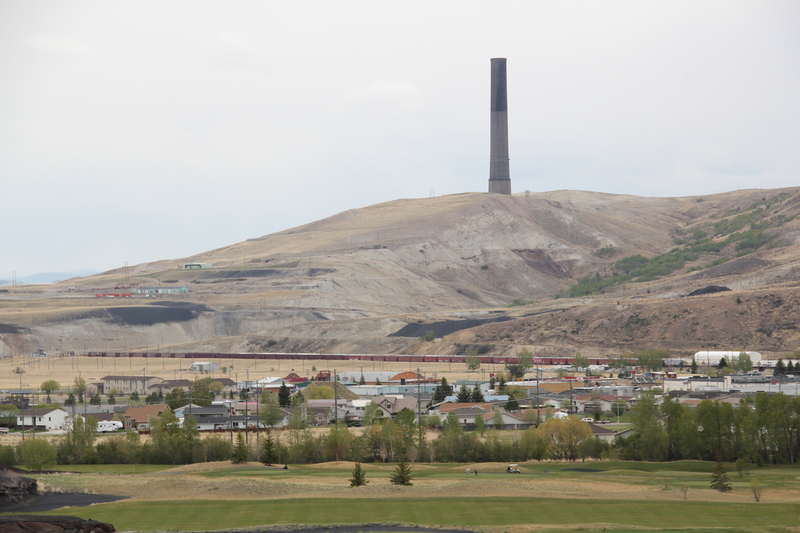 Even as a neophyte to Montana’s history, I understood the significance of the news that the smelter was closing in Anaconda in the early 1980s. 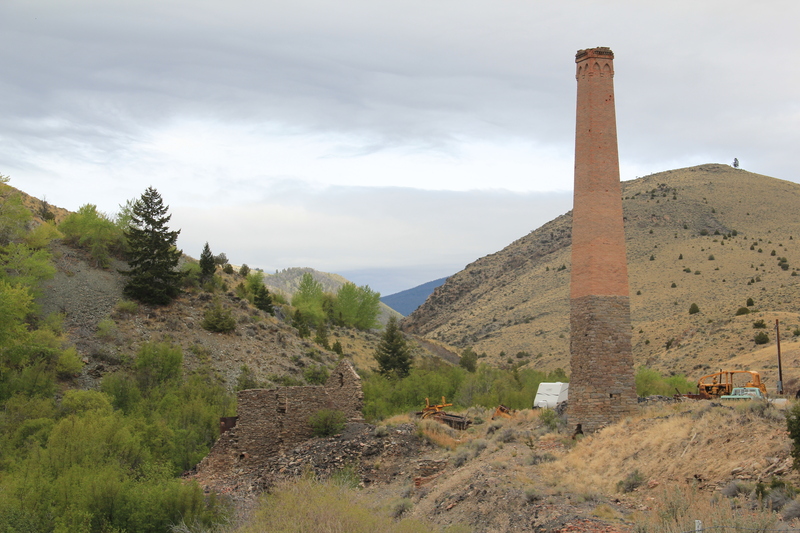 I had already taken images of the town’s most defining landmark–the Washoe Stack–and I soon went to Anaconda to take more because no doubt the end of the company meant major change–and many of my friends thought it meant the end of the town itself. 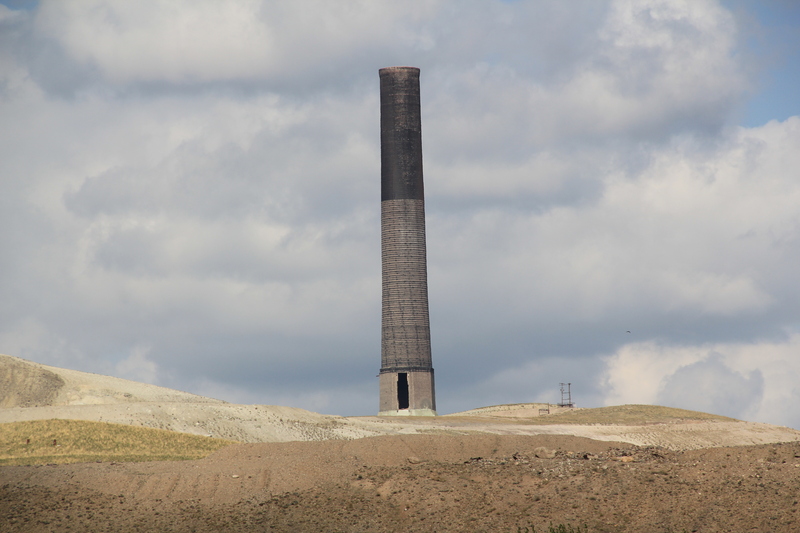 When I last visited the stack in 2012, Dickson’s wish was true. 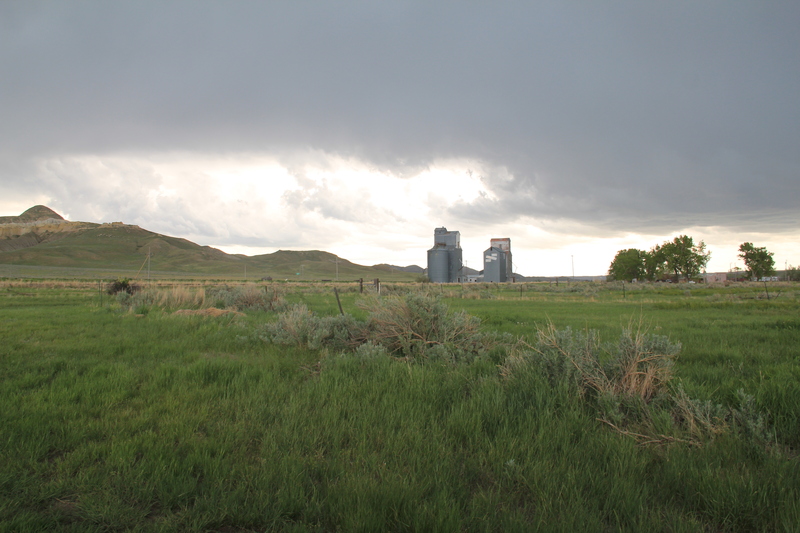 The stack stands “stark against the sky,” no matter the vantage point. And, perhaps most appropriately, from the town’s cemetery where so many of those who toiled there are buried. 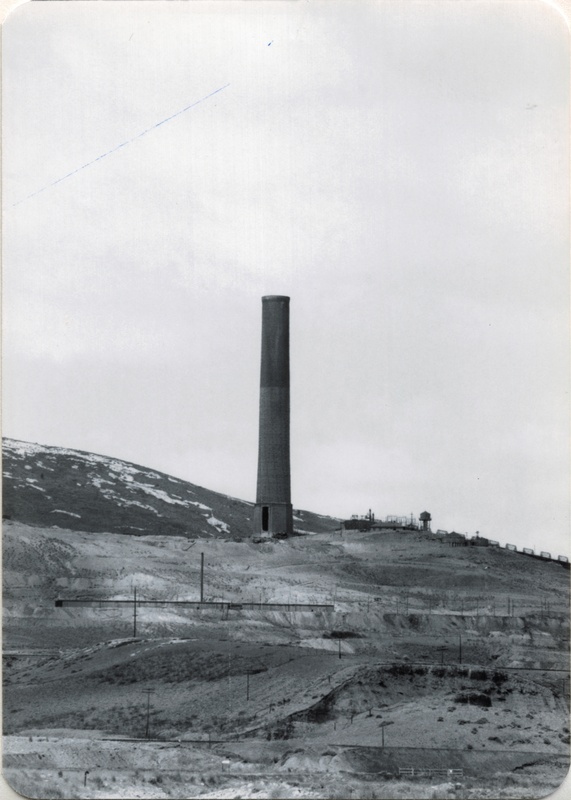 The stack is a landmark of engineering achievement–yes–but it is also a landmark that reminds us of corporate impact and community persistence, and it is that later idea: of how Anaconda remains and what it says today that I hope to explore in future posts. 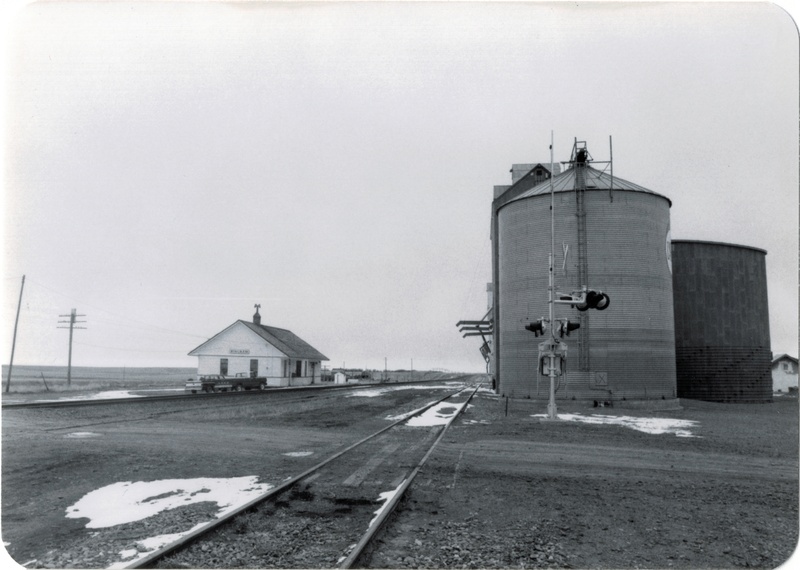 Earlier in the summer I discussed the rather shocking (to me at least) discovery that most of the small town railroad depots–most following a standardized design developed by the Great Northern in the early 20th century–were gone, and that seemed like a devastating loss of historic fabric along U.S. highway 2. 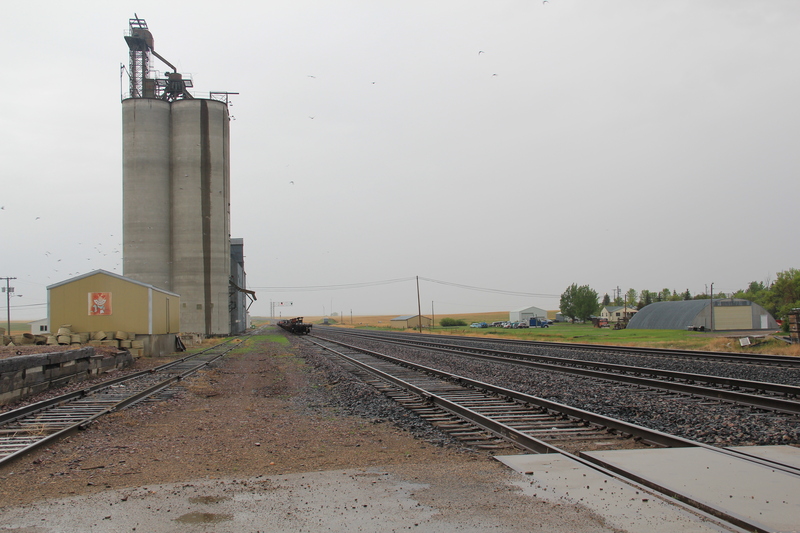 Today’s posting looks solely at group of towns west of Havre in Hill County–and provides a 1984 and 2013 comparison. 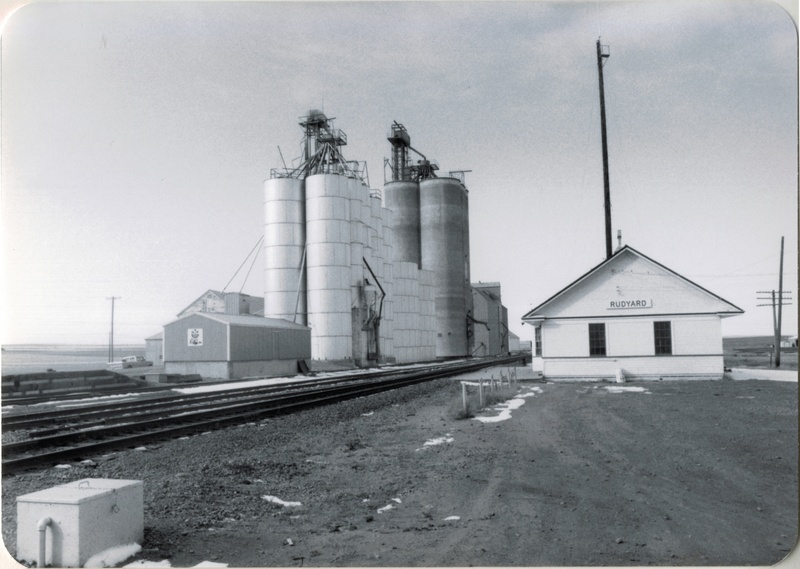 The Rudyard depot was one of my favorite images from 1984, and I used it in A Traveler’s Companion to Montana History book a later article on the Great Northern Corridor for Montana: The Magazine of Western History. 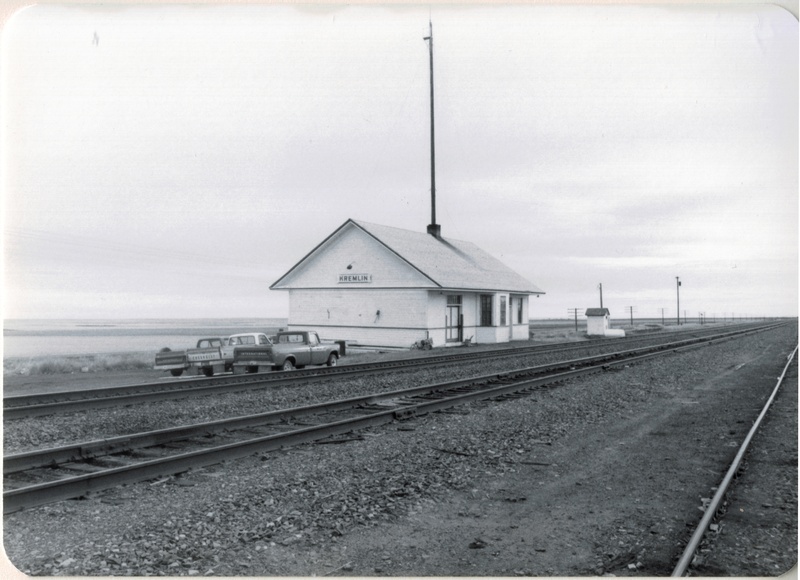 Depots served both an aesthetic and purely corporate function for the Great Northern–their standardized design helped to brand the line and helped to define the traveler’s sense of place. 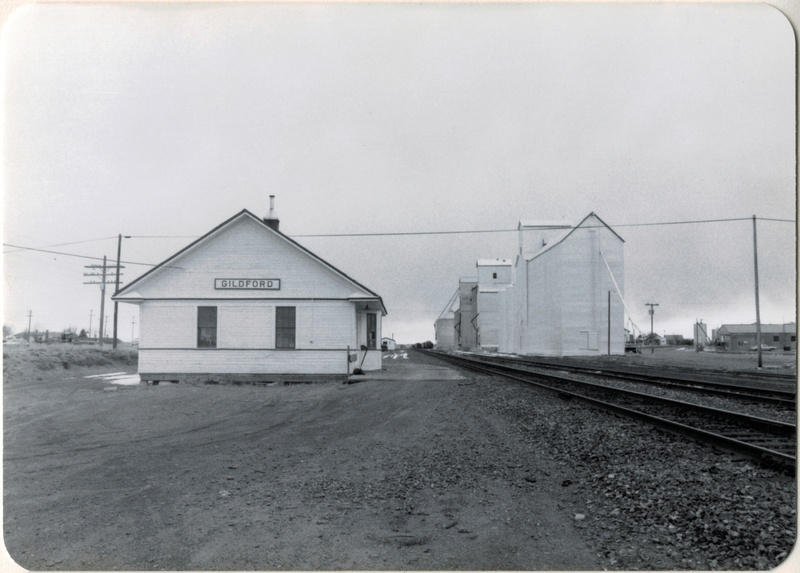 They also served as a corporate outpost–the administrative center–for distance, tiny places, like these towns in Hill County. 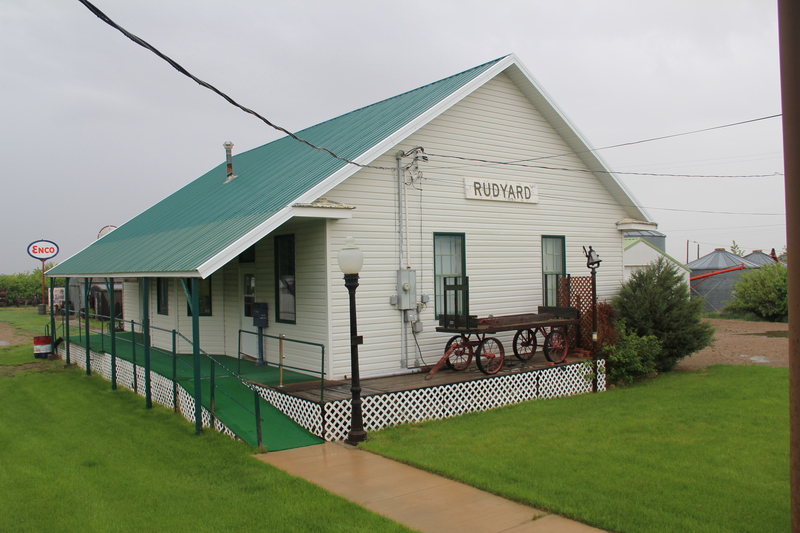 The Rudyard community has preserved the depot, moving it several blocks away from the railroad line, but for the other towns a crucial link to the past has been lost. 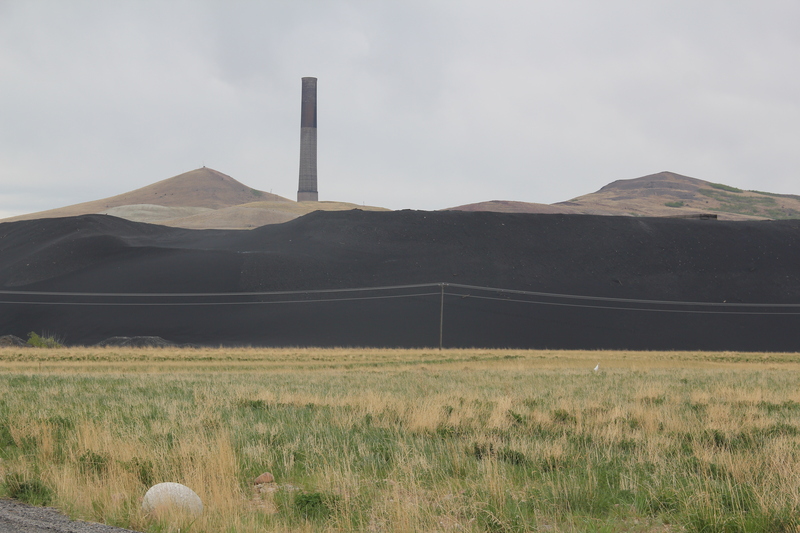 In my exploration of the Montana landscape, it has been very interesting to do comparative photography–what has changed in almost 30 years. 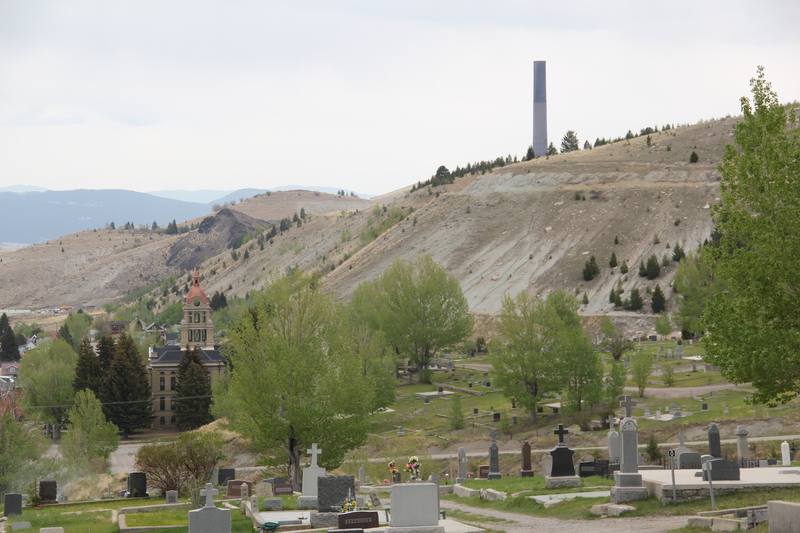 Today’s case studies are of a streetscape in Helmville, a rural village in Powell County, and the Hecla smelter stack from Glendale. The wood building in the foreground had lost the shed addition, and the smaller squarish wood frame building next to it had disappeared. 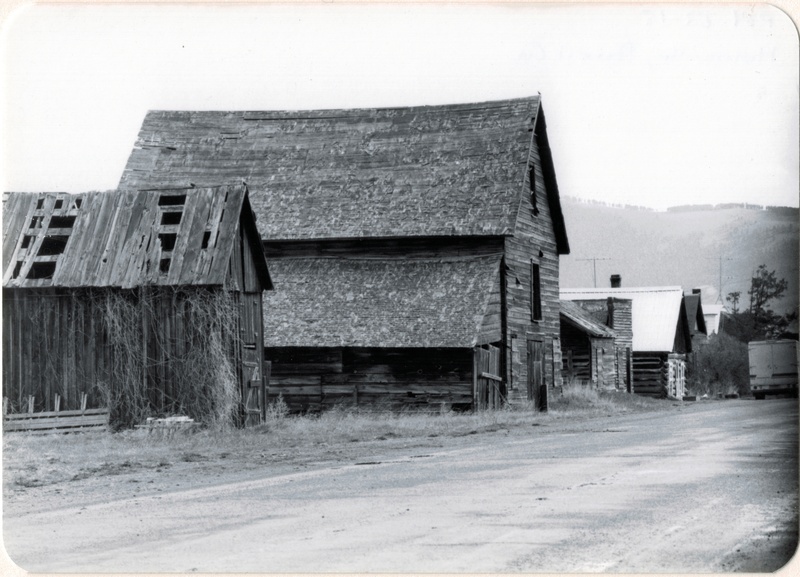 But considering the nature of the building materials, the isolation of the town, and the fact that a state highway (Montana 271) passes right in front of these buildings, it is rather remarkable that so little has changed at Helmville. The same is true of Glendale. 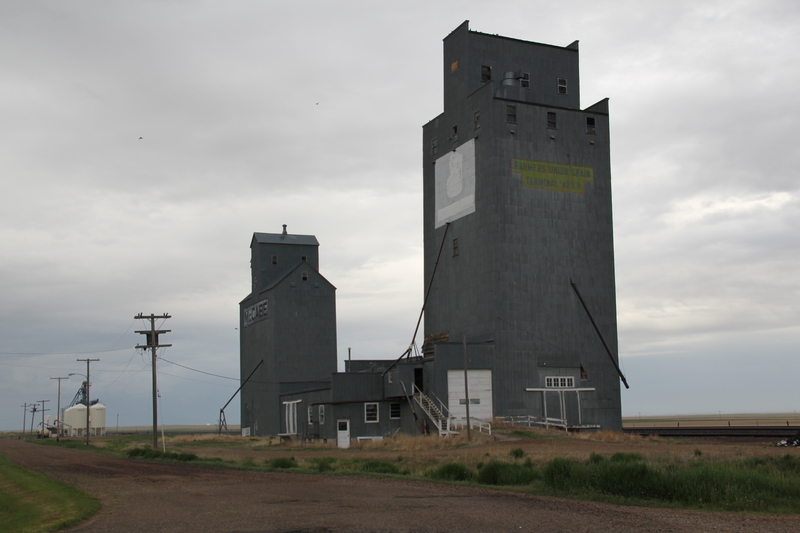 This isolated place in southwest Montana has changed even less than what had happened at Helmville. 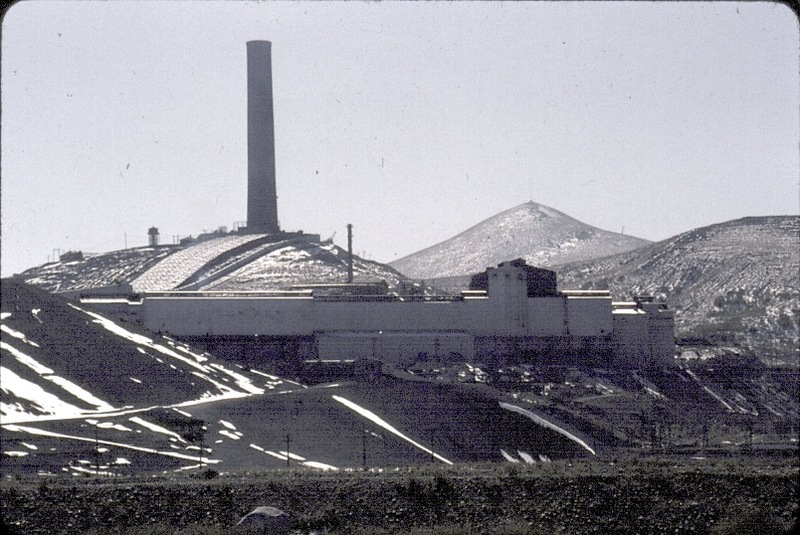 The black and white view is from the May 1984–the same view from May 2012 shows that this smelter ruin is still a compelling artifact of the impact of mining and industry on the Montana landscape.